The picture left shows the first camera in our family. My father bought it during our first holiday in Holland when I was very young. More than 50 years ago. I believe he paid about 10 Euro for it. It was a very simple basic black box. You had to make a choice whether it was a sunny day or a cloudy day. And two choices for the distance. Of course it was for roll film. 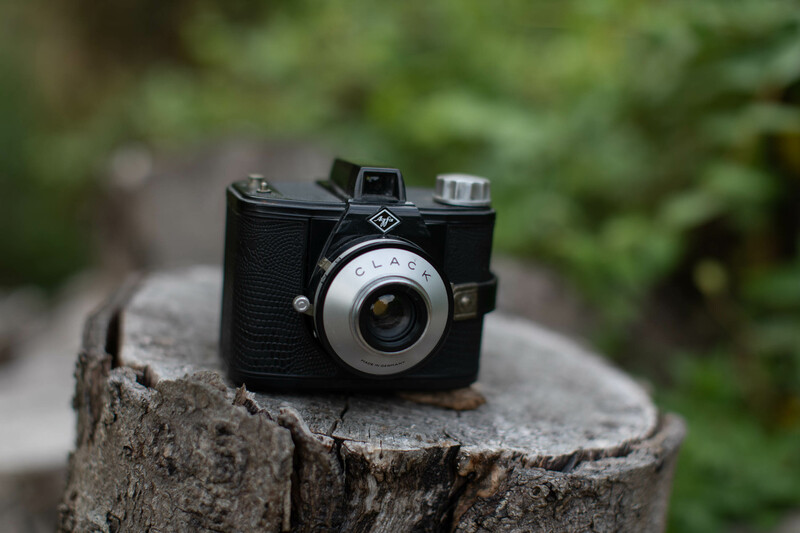 When you made a photo you rally heard “clack”. In our family albums we still have old black & white pictures of these early days. It was my first experience with photography and I found it magic. This was my first camera. I am not sure how old I was when I got it, but I believe I was about 10-11 years old. My first pictures were made during a school trip on a boat. It had even less options than the Agfa Clack. Is it a sunny day or a cloudy day? That was it. Life was easy that time. Recommended film was the isopan. I asked my family, in case they wanted to throw away old camera’s, to think of me. I started to collect them. 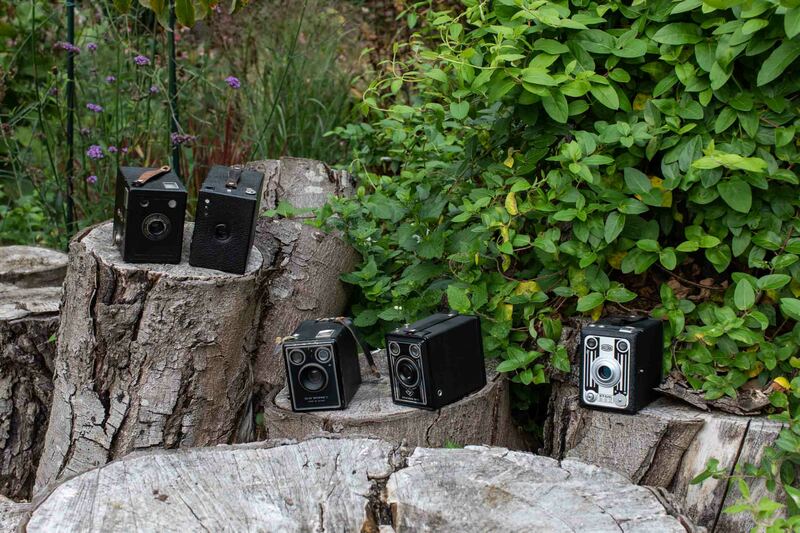 I do not buy them, because I prefer to get an old camera of an old aunt or a grandfather of a friend. Over the years I have collected quite some nice old camera’s. Not a lot of money involved, but camera’s with a story. 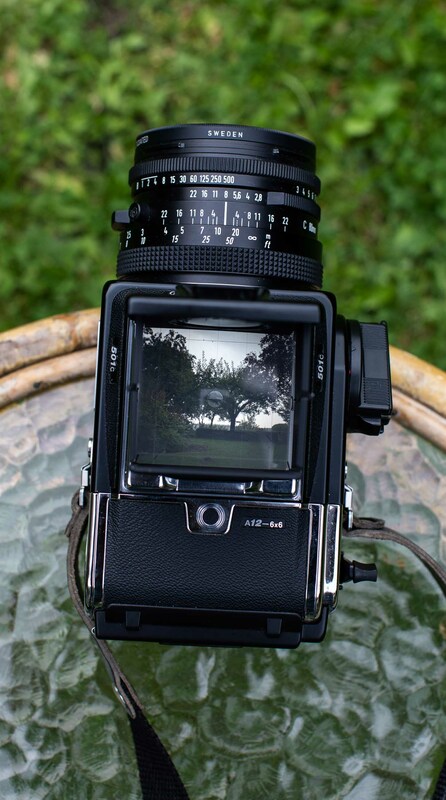 It is almost 30 years ago, that I bought my first medium format camera. I was inspired by some of the members in my photo club at that time, who took their photos on medium format film. What a sharpness and a nice bokeh! 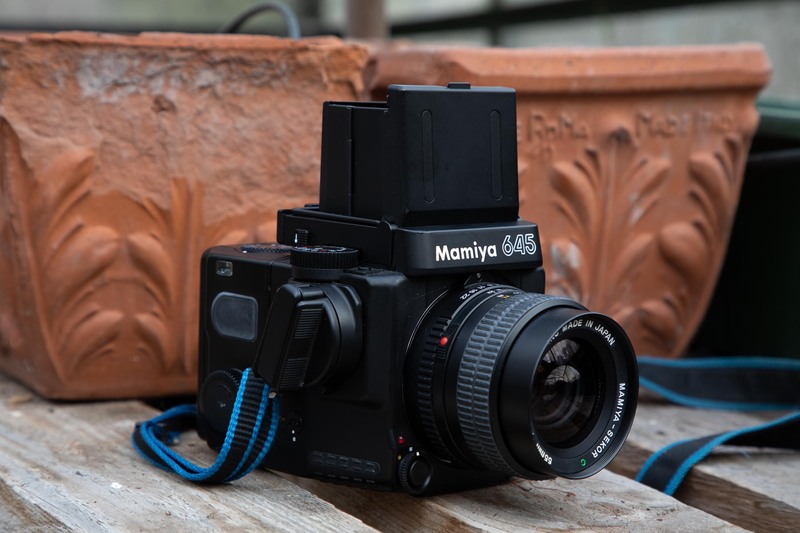 I bought the Mamya 645 1000S. This was an affordable camera at that time. The quality is very good, in particular the quality of the lenses are first class and compared to 35mm, the DoF and sharpness is great. I bought 3 excellent lenses: the 150 mm 3.5, the 80 mm 2.8 and the 55 mm 2.8. When scanning negatives/slights of this camera you will have qualitatively good digital photos. I still have all equipment and it is all in excellent condition. 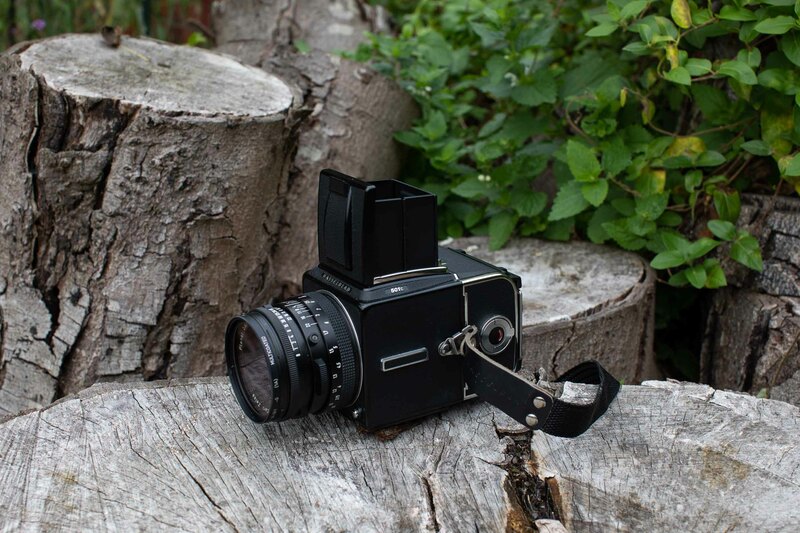 Just before the digital age really started I bought this Hasselblad 501 C. It was an occasion of course . But it was a dream to have one day a Hasselblad camera. I was very proud. And to develop these big medium format negatives was great. I still have the camera and now and then I buy a roll film. To make good pictures with a camera like this is something else than pressing the button on my Canon 5D camera. The Hasselblad camera that I owned as well was the XPAN. 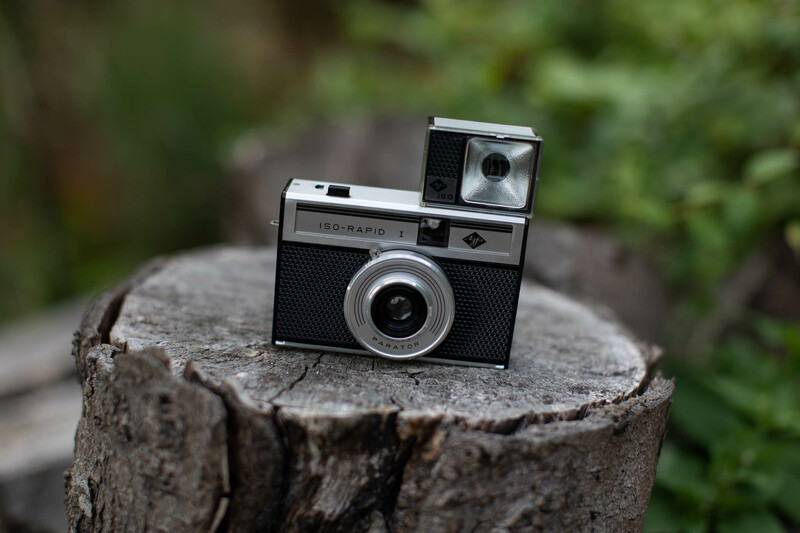 The XPAN is a 35mm, manual focus, rangefinder camera with an aperture priority/ exposure compensation mode and all manual exposure option. It shoots a wide-format or ‘panoramic’ negative. Rather than producing the classic 24mmx36mm (2:3) frame, it shoots an almost double frame – 24mmx65mm to be precise. There are only three lenses available for the camera system: 30mm, 45mm and a 90mm. Aperture is controlled by a ring with all three lenses. I sold it two years ago for a good price, in order to buy my new Canon camera. I should not have done it. This was the camera that gave me the wow factor at that time. The panorama pictures were so amazingly beautiful. 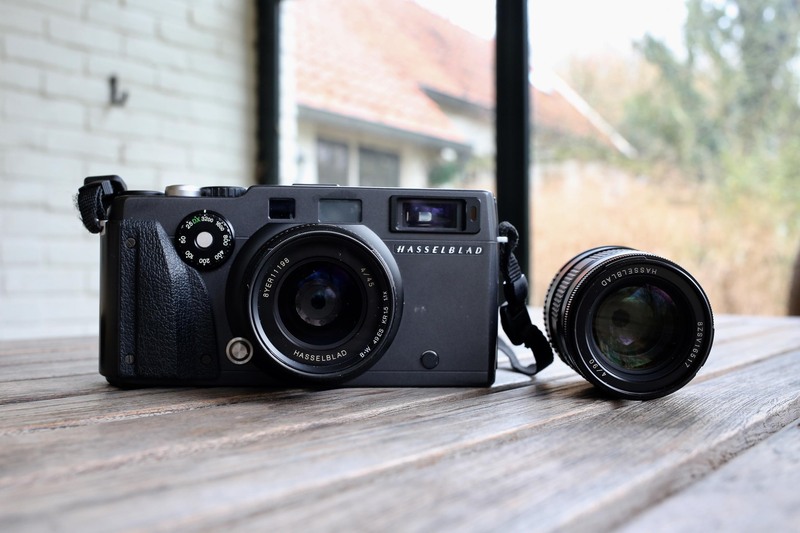 When there would be a digital XPAN I would sell all my other stuff. The most left camera I got as a present my friend Walter from Belgium. He has photographed with it for many years in all parts of the world. The lenses are real glass. Heavy, but very good quality. I also got a small film camera from Walter. The camera on the right is also a Zeiss Ikon with 75 mm lens. All cameras are made in Stuttgart, Germany.